Coverage: Live commentary on BBC Radio 5 live sports extra and text updates on the BBC Sport website. 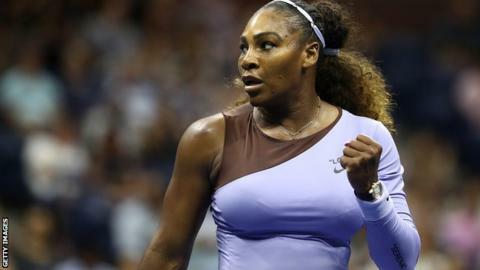 Serena Williams is aiming to win a record-equalling 24th Grand Slam singles title when she faces Naomi Osaka in the US Open final on Saturday, just one year after giving birth. The American, 36, hopes to equal Australian Margaret Court's record. Williams lost to Angelique Kerber in the Wimbledon final in July and could win her first Grand Slam title since having daughter Olympia. Osaka, 20, is the first Japanese woman to reach a Grand Slam final. The final begins at 21:00 BST on Arthur Ashe Stadium with the mixed doubles final, featuring Britain's Jamie Murray, starting at 17:00. Twentieth seed Osaka, who calls Williams her role model, beat her in their only previous match. But that was in the Miami Open in March this year - Williams' second tournament back since her return. "I was breast-feeding at the time, so it was a totally different situation," said Williams. "Hopefully I won't play like that again. I can only go up from that match." Williams' husband Alexis Ohanian celebrated her return to the US Open final with a touching Twitter tribute - a video of her in action and the first days of their daughter. The 36-year-old suffered life threatening complications after the birth on September 1 last year, requiring four surgeries to deal with blood clots. "She fought for her life, for our child, for recognition, for equal pay, for women's rights. She never gives up," Ohanian tweeted. Williams said: "A year ago I was fighting for my life in the hospital after I had the baby. Every time I step out on this court I'm so grateful that I have the opportunity to play this sport." Williams has gone beyond Steffi Graf's haul of 22 Grand Slam titles, and now has won the most by any player in the Open era (since 1968). Only Margaret Court, on 24, is ahead in the all-time list. 2002 was the year Williams' first became world number one. The American has reached 31 Grand Slam singles finals. Williams was 17 when she won her first Grand Slam title at the 1999 US Open, defeating world number one Martina Hingis. She is the oldest woman to win a Grand Slam in the Open era, and the oldest world number one. Williams has also won 23 doubles titles, including 14 Grand Slams and three Olympic golds. Osaka is aiming to make history in the final by becoming Japan's first Grand Slam champion. Like Williams she has dropped just one set during the tournament and has spent less time on court than the 23-time major winner in the six rounds so far. Osaka was just one year old when Williams won her first US Open title in 1999 and says she "always dreamed" of playing the American in a Slam final. The 20-year-old had not reached a Grand Slam quarter-final before this tournament whereas Williams is competing in her 31st Slam final and second since her returning to action. "When you just come back and then you make the finals of two slams, I think that's really amazing," Osaka said of Williams. "But I really feel like I don't want to overthink this match, so I'm not going to think that she's so much better than she was in Miami." Osaka has been coached by Williams' former coach Sascha Bajin since December 2017 and he has overseen her rise from 68 in the world at the start of the season to her current position of 19. "She was a big hitter before I started with her. She knew how to play tennis," he said. "She maybe didn't know quite how to handle it or control it, didn't quite know when to pull the trigger, when not to. "Maybe she didn't know that there were other ways of putting pressure on the opponent. Now she's more open-minded on the court about other things than just trying to crush the opponent." Defending British champion Jamie Murray will compete in his third US Open mixed doubles final but his first with American partner Bethanie Mattek-Sands. Murray, 32, won in New York last year with Martina Hingis and is aiming to win his sixth Grand Slam title. The pair will play Poland's Alicja Rosolska and Croatia's Nikola Mektic in Saturday's final on Arthur Ashe. Mattek-Sands is aiming to win her eighth Grand Slam title and her first since suffering a horrific knee injury at Wimbledon last year. She was forced to miss eight months before returning to reach the second round of the French Open this year. "The chance to get into a Grand Slam final again was a big motivation for me," said Murray.